Connecticut Stone is an award winning, family owned and operated full-service natural stone company located on 15 acres in Milford, Connecticut. The line between fantasy and reality is no longer set in stone. 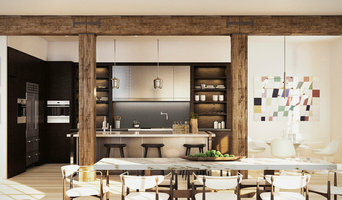 At Connecticut Stone, we constantly strive to help people see the unexpected ways that stone can transform your life. Our friendly and knowledgeable staff has over 60 years of experience partnering with architects, developers, builders and designers to transform lives through the exceptional use of stone. Custom cuts, innovative applications and award winning insight—all at your fingertips. We proudly manufacture and distribute an incredible array of natural stone products and accessories for both interior and exterior applications. From custom countertops, vanities and fireplace facings that beautify your home, to natural stone veneer, flagging, coping and wallstone to enhance any landscape, we can help you transform your environment. We stock an extensive selection of natural stone products at our two stone yards. Stop by our 15 acre Milford location or our 3 acre Stamford location. We also offer an environment designed to showcase innovative uses of stone and stone products at our Galleria showroom in Middletown, CT.
Dushi Marble and Granite is a leader in the fabrication and installation of natural stone within the Tri State area. We cater to the discriminating tastes of homeowners, contractors, architects and interior designers. With over 15 years of experience, we can proudly say we have made a science of the entire natural stone buying, fabrication and installation experience. We approach all of our projects with the same proven methodologies and techniques that we have used in all of our installations. We offer the best service and finest quality natural stone products. We are unmatched by our competition. Dushi Marble & Granite was founded by four brothers from Europe. The company is owned by Paul and Peter Dushi. 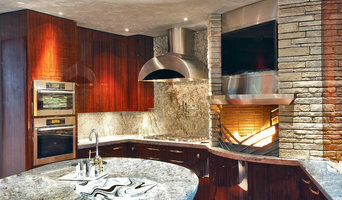 Together they have over 15 years of knowledge and experience with natural stone, fabricating and installation. Paul possesses a vast, diverse background in the business world and strong managerial experience. 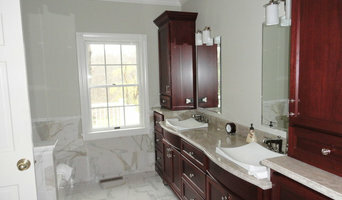 He has an extensive knowledge of natural stone as well a keen eye for detail. Paul is responsible for the day to day operations, sales and the administration of DMG. His responsibilities include handling every facet of our client’s needs from start to finish. Paul is also the primary liaison between our clients and the various stone providers. Our company is family owned and operated with over twenty-five years of experience in all phases of tile and masonry. We provide quality services ranging from tile, marble, stone, and masonry installations, repair, and refinish to complete bathroom and kitchen remodeling. We proudly service both residential and commercial clients in Fairfield and Westchester Counties.